L Mansion Guest Palace is located a 14-minute drive from the Majorelle Garden and Marrakesh’s Medina. There is an outdoor and indoor swimming pool and a terrace with views of the Atlas Mountains. L Mansion Guest Palace is located a 14-minute drive from the Majorelle Garden and Marrakesh's Medina. 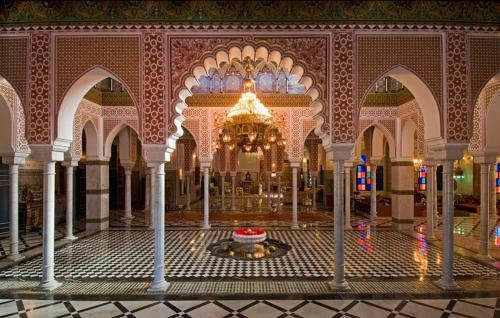 Hotel L MANSION GUEST PALACE in Marrakech (Marrakech) ✓ HRS price guarantee ✓ audited hotel evaluations ✓ free cancellation.